Toast to the perfect personalized wedding favor that your guests will love! 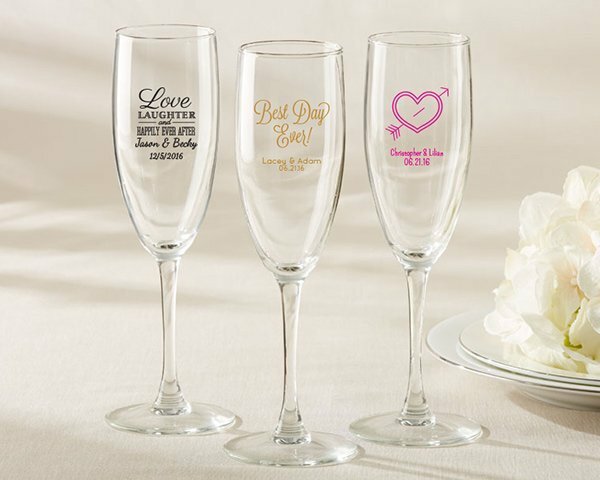 Our Personalized Champagne Flutes are the ideal finishing touch to your reception. 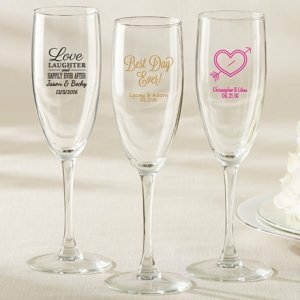 The toast to the bride and groom will be even more special when the glasses feature the design of your choice along with your names and wedding date. It's a keepsake that will have your guests recalling fond memories of your event year after year. Product dimensions: 7.75" H x 2.25" in diameter. We are unable to add designs that are not listed in the personalization tool for this Personalized Champagne Flute Wedding Favor.